CAN YOU RESIST DREIDEL DOG? The newest rhyming romp from Mark and wonderful ilustrator, Dan Traynor includes a dreidel-making activity and rules for this fun game. Hanukkah fun for everyone with a lesson about the true meaning of this Festival of Freedom. And don't forget Santa's Speeding Ticket and A Bite Before Christmas. The holidays were never so much crazy fun!!! 3rd Prize Mid Grade Fiction- Florida Writers' Association Royal Palm Literary Awards. Trapped with a crazy uncle, a teenage boy solves a baffling mystery while he plots his escape. Full of laughs and cliff-hanger twists, this page-turner is the first in an exciting series that combines the detective work of Sherlock Holmes with the courtroom excitement of Perry Mason. Can you find the clue? "Now my son wants to become a lawyer." 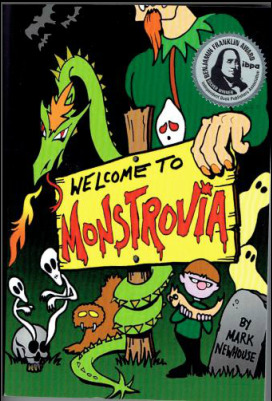 The sequel to the multi-award winning Welcome to Monstrovia. Brodie and his uncle, Jasper Doofinch, aka Doofinch the Defender, must risk their lives to save a fire-breathing dragon from prison or face total disaster. Another riotous mystery that introduces children to the fascinating world of law and lawyers in a land where anything can happen. You won't be able to stop reading until the end and then you'll want more! And more is coming soon! "Now I may have a future lawyer in the family." Oh no! They're at it again! Can anything stop the endless fighting? Funny illustrations by Dan Traynor (Santa's Speeding Ticket, Alice in Batsylvania, and many more), makes this rhyming romp a laugh riot with an important message for everyone. Kids will love the illustrations and simple instructions will teach them how to make their own comics, decorations and cards with these fun characters. Can you resist those faces? ​ Alice has been told a thousand times not to kiss frogs, and certainly not bats, but we all know an Alice. Sweet, sassy, spunky, but does she listen? Daniel Traynor's animated illustrations make every scene come to dazzling life. Kids will love this colorful book with a cute and sassy heroine that learns a valuable lesson...or does she? What creatures await in Batsylvania? Should she take that cookie from a stranger? Why should Alice think twice before knocking on the door of a creepy castle? This book is a fun-filled lesson for the Alice in every child. MIDNIGHT DIET CLUB now a great audio book too!!! Beware of THE MIDNIGHT DIET CLUB!!! What is the secret about Esme's sinister bullies? "You can't put it down until the last page and then you want more." Every teenager should read this funny, slightly scary tale. NOW A NAIL-BITER AUDIO BOOK TOO!!! Darren Marlar, radio personality and actor, has produced a fantastic audio book for THE MIDNIGHT DIET CLUB, 1st prize Florida Writer's Association Royal Palm Literary Award for YA published fiction and available on Kindle. I couldn't stop listening. Pick up your free samples on Amazon.com and Audible. 50 funny and warm stories and poems by the talented authors of Writers 4 Kids celebrate our love of animals. These are tales parents and children will want to share. What is the scariest pet ever? Can a dog really read? How does a miniature horse prove he has the heart of a giant? How does an Eagle become a hero? Why does a boy have twelve goldfish named Whale? Who doesn't love animals? Read dogs, heroism, autism and more make this a perfect choice for charitable fundraising. All profits go to animal or child welfare charities. Contact us for fundraising information. SOMEONE IS IN BIG TROUBLE!!! Officer Zapper is only doing his duty when he stops a strange speeder on Christmas Eve, but he is about learn the most important lesson of his life in this fun story lovingly illustrated by Daniel Traynor. This will be a treasured book to share with your family every Christmas. What is the special gift that saves the day? Remember holidays where you shared a favorite story with your family? The moving introduction by philanthropist and World Hall of Fame Golfer, Nancy Lopez, invites you to share a collection of wonderful tales and poems about the holidays from Halloween to Valentine's Day, all in one happy book. 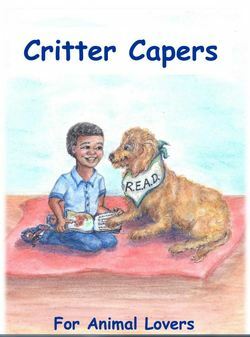 Created by generous children's book authors, every story is a warm and funny treasure. What is the secret of the Fearless Hanukkah Treasure Hunter? Why do slippers bring back special memories of Valentine's Day? How is Christmas shared in foreign lands? All profits from HOLIDAY HELPINGS are donated to children's charities. What is the "Magic for Everyone"? "How can Rockhound the detective help the "Half-wit Wizard"? What is the secret reason behind the "Camel's Awful Joke?" Every story and poem in this amazing collection will tickle the funny bone and make kids and their families happy. Created for children in hospital and doctor waiting rooms, all profits are donated to charity. Give a child a book of funny short stories and watch them become avid readers. ​ Now in bilingual editions too. Children love solving fun short mysteries with Rockhound, the teen-age dog detective and fun science experiments like making orange juice ice pops, taking a pulse, building a simple copy stand or using lemon juice to identify limestone. These nine classic mysteries are fun for all ages and now are available in bilingual editions. Young children will love doing the experiments with you and then enjoy doing them on their own when they are older. This award-winning series combines creative thinking with a fun way to introduce science. ​Look for new Rockhound books coming soon. Tame the marketing monster with series of simple checklists. "Every writer will want this. 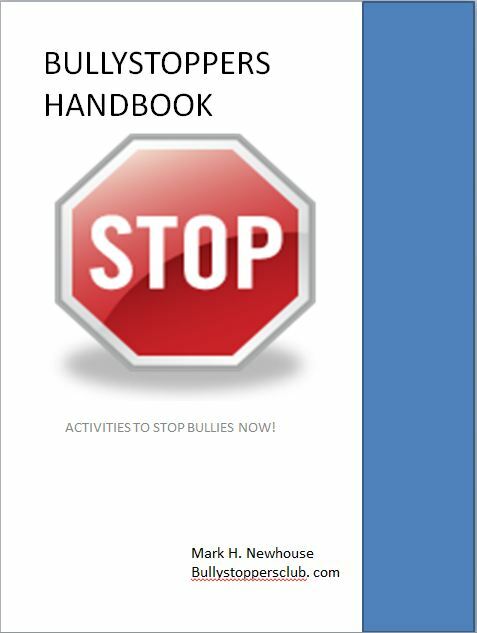 "- Joan West, An Agent Speaks and A Publisher Speaks"
96 PAGES OF FUN ACTIVITIES TO HELP STOP BULLYING NOW. FOR KIDS, PARENTS AND TEACHERS. VISIT www.bullystoppersclub.com for your FREE copy today. Mark's secret strategies to help kids pass essay tests- order using the contact form- $11.95 includes shipping & tax. HELP YOUR KIDS FEEL CONFIDENT WITH EASY TO LEARN ESSAY AND READING STRATEGIES AND TOOLS. Order using the contact form on this site's home page. "They Called Him the Devil"- FWA Collection: What A Character!" A man must confront his fear when he meets the man some call the prince of the ghetto, but others call him the devil. "Pebble in a Graveyard"- 2nd Place, Journeys X. What is his secret? What do the pebbles mean? "Anything for a Friend"- honorable mention, Journeys VIII. Why is his father carrying a gun? What does this stranger want? Sixty years from the terrors of the Holocaust, a boy learns the truth about his father in this tense encounter with the past. "My Little Monsters"- in Hide & Seek, collection of winning stories in the Florida Writers Association anthology contest 2016 He wants to leave the classroom. Can anything change his mind? "A Painful Coincidence"- winner, Tales2Inspire Humor Collection- Is the dental assistant you know worse than the dental assistant you don't? A true story from my humorous life. "Legacy Lost"- Winner, Tales2Inspire, Sapphire Edition- What is the precious gift you can give your children? A moving true story with a lesson for everyone. I made a mistake and can never make it right. "The Closet"= 2nd Place winner 2013, Journeys VI-- A young boy's punishment produces horrifying consequences.
" Hate Crime"= Florida Writer's Association, It's A Crime collection, 2013- A concentration camp survivor is faced with his demons. "The Wheel", MY WHEELS collection, Florida Writer's Assoc. 2012 ISBN 978-1-61493-117-1 A man's last moments are a true test of faith.